Bob Lutz had a hand in countless automobiles during the 20th and early 21st century, but one of his last acts at a major automaker was none other than the Chevrolet Volt. Lutz was on-hand at the 2019 North American International Auto Show and Detroit Public TV filmed a quick segment with the former GM executive where he recalled what drove him to champion the Chevrolet Volt at the automaker. Basically, it was to show the world that GM wasn’t dead in the water and could do more than build regular sedans and trucks with V8 engines. He said, at the time, Toyota was the “darling” of media and the industry and was given an enormous amount of credit for pushing the Prius hybrid. “It was enough to make you sick,” he said of the coverage at that point of time. GM wasn’t in on the game and Lutz recalled the media looked at the automaker poorly when it came to future technology. Enter the Volt. Lutz said he wanted to leapfrog the Japanese automakers and present the world with the next step in the future of electrified cars. The Volt could drive on electricity alone for miles and featured an engine as a backup, but the idea of getting out ahead of Toyota and other automakers was his number one inspiration. “If we could make some money doing it, that would be even nicer,” Lutz said. The Volt, in the end, was not a profitable venture. However, Lutz said it meant so much more to the automaker. To him, it was akin to what the Dodge Viper meant to Chrysler in the 1990s—it was a halo car to show the world what the company was capable of and provide a “new perception” of the company. In those respects, we believe the Volt served its purpose. After two generations, the plug-in hybrid will depart us, but we’ll likely look back on the model as the start of a revolution inside GM. 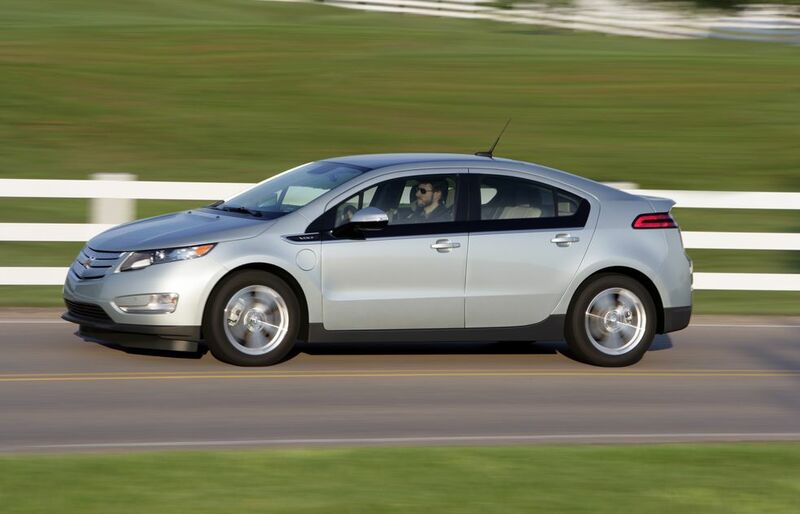 One of the biggest problems with the Volt was how Chevy botched the launch by misrepresenting the drivetrain. They made it sound like an electric vehicle with a range extender, but it turned out to be a typical hybrid with the ICE connected to the wheels mechanically. The second gen Volt was a really sharp looking car. More “normal” looking and I’d argue it set the tone for the entire range. A much better vehicle and I see many more of them, so good on GM for sticking with the Volt and not letting it become the next EV1. In hindsight though, they should have made the Volt and Bolt under the Geo brand— That’d be perfect for electrics. No, the first generation Volt used the ICE as a generator to power the battery pack. It did not power the wheels. What year models were the 1st and 2nd (etc) generation Volts ? I’d have to disagree with calling my 2012 or 2017 Volts traditional hybrids. They are nothing like the 2015 Fusion hybrid that I had for 2 years before getting the 2017 Volt. And in the past 3 months, I have used gas for a total of 0.4 miles – that’s not a hybrid. After the battery is used in the ’17 it is closer to a hybrid in operation. There is an interesting video on YouTube that shows how the Gen 1 engages/disengages the two motors and the engine for propulsion. Chevrolet’s Volt was essentially ahead of the curve and had the potential to be the bridge for every GM vehicle before moving to EV especially if General Motors swapped out the 1.5L 4-cyl engine with a fuel cell which meant the Volt and all vehicles using this system would be green; imagine a Chevrolet Camaro with Volt guts and a 550 hp from the Buick Enspire CUV concept then a fuel cell converting gasoline to electricity to recharge the Camaro’s battery. So why kill the revolution just as it is being born? The Volt is much more than a “Halo Car”. Given the realities of today’s existing automotive infrastructure the Volt was a automotive engineering breakthrough on a par with the Kettering ignition, electric starter, hydraulic brakes, and perhaps the Hydra-Matic transmission. I am very disappointed that Bob Lutz is so willing to allow what might be one of his greatest real automotive achievements to go so quietly into the night. He ought to be criticizing current GM management for refusing to really market and find a way to economically produce the Volt, instead of kowtowing to them by seeming to endorse their foolishly premature promotion of simplistic EV’s and autonomous vehicles before the infrastructure and the market are even close to ready. It is sad really, I think he once had more sense and fight in him, but he still deserves our admiration for all the good he as done for the American automotive industry. Well, he was kind of out of the picture @ GM as things progressed. Given GM’s proclaimed drive towards EVs and ‘three Z’s’, it’s hard to understand why they didn’t take a good thing and make it better. Instead of taking a good thing and making it deader. Well the Volt did what it needed it out GM on the map as a company that still could develop advanced technology at a time most thought they would die. The Volt was just too expensive and unprofitable was the problem. Now today most people in the market for anything electric wants full electric. If not they want ICE. There is little market for a short range electric with a hightest gas engine and small gas tank. Even the Prius is now hurting for sales. GM needs to focus part of Cadillac as the EV models that are priced to where they make money till prices and technology makes it economical for the Chevy line to pick up on it. Right now Tesla is hurting from the lack of profit from the 3. They really need to come up with a new S model to bring back the high profits to fund the company. Like any expensive technology time and volume helps cut the cost of it. This is why we always see HUD, Anti lock brakes, stability control, adaptive cruise and many other advancements in the higher price models first then trickle down to the more base models. Where do you get the “fact” that “most people want full electric” from? The sales figures I have seen says that Volt was second only to Tesla in real EV sales (and the Volt is a “real EV”); and that without the “snob factor” marketing that Musk employed. (Almost as bad as the phony “virtue signaling” approach Prius employed.) I hear more about Tesla owners complaints with the car than from Volt owners who overwhelmingly love their car. As an example I recently heard that GM has yet to replace a battery under warranty in the Volt. A lot better than the spontaneous battery fires you read about in the Prius and Tesla. Perhaps not many people in your country club appreciate the Volt? I read in your comments about focusing on Cadillac being the venue to sell electric cars. So I guess you are saying GM should copy Tesla’s snob appeal marketing plan? Well I guess perhaps some day electric car technology will be allowed to trickle down to us plebs? I thought Musk’s plan to save Tesla was the lower cost/higher volume model 3? Unfortunately he has yet to learn the art of mass production, which used to be GM’s strength and is what could save truly innovative cars like the Volt, if only a management team could be found who knew how. I guess GM is suffering from Tesla stock price envy. Think about what “building shareholder value” did to GE. I said it before on this forum, if the Volt technology was put in the Equinox, they be adding production facilities instead of closing five plants. All owners and auto journalists seem to love this hybrid. In 2012 I was at a Chevrolet dealer, even the salesmen wanted a Equinox’ hybrid then. I bought a Silverado as why I was their. While waiting for my truck, I tried to sit in one. I’m 6’2” and was nearly impossible to squeeze into it. Hence why the majority do not one want sedans. GM is bent on getting into total EV which is great, but me and maybe millions of others, the EV just won’t fit most lifestyles. Try driving 1100 miles from NY to Florida and all the charging stations that would be needed it still take two extra days. A volt hybrid, you can go 4-500 miles, gas up and go and be a good feeling for many that they are green. If a hybrid was put in a Colorado, I’d be one of the first in line. All electric, no way. If they’d given it a back seat usable by adults, it might have survived without being a CUV–which they didn’t know would have been it’s best hope.